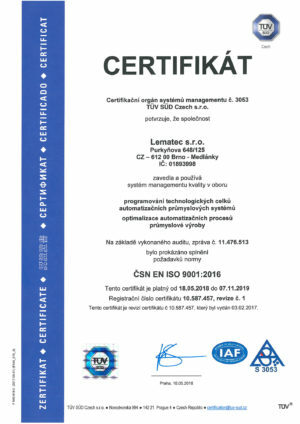 We are a Czech company with a global reach (Germany, USA, Mexico, China, Switzerland…). We are engaged in industrial automation – PLC software development, machine recovery and service. We specialize on the Siemens, Beckhoff and Allen Bradley platforms. Our advantage is a qualified team of technicians and programmers with guaranteed substitutability. Our team includes both specialists with long-time practice and lecturers working in the parent company of Siemens and Beckhoff. 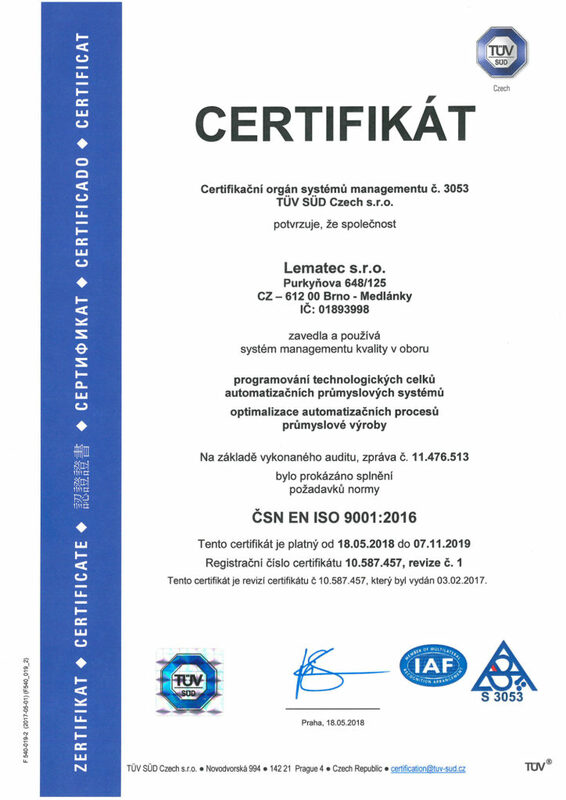 Thanks to this, we provide comprehensive modular solutions for control systems that take into account the latest technological trends with emphasis on the correctness of their implementation.